For those wishing a good introductory book on the subject of economics, this is it. 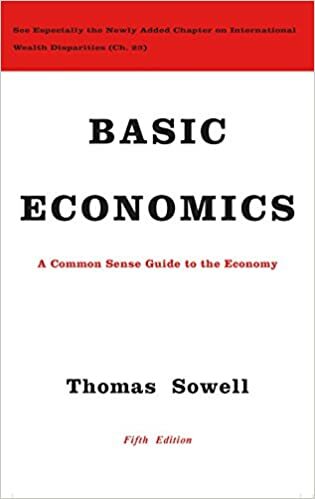 Thomas Sowell’s classic, Basic Economics covers all the basis and does so with a clarity that is classically Sowell. Often using familiar stories from history to illustrate his points, he breaks down the seemingly complex into chunks the novice can understand. Do not take this to mean that this book a fluff piece with little meat for the serious scholar to digest. At well over 500 pages, it is a tome of knowledge. Whether you are a economic newbie, a student or someone who just wants to know more, you’ll find Basic Economics to be an indispensable addition to your library.